A team of researchers at the University of Bordeaux in France has found that tiny, mindless robots are able to work together to move a corral. In their paper published in the journal Physical Review Letters, the group describes their experiments and what they found. Prior research has shown that small, self-powered robots with no computer control tend to behave like molecules in a gas, wandering aimlessly when confined to a given space. In this new effort, the team in France took this work further by adding more robots. The robots were tiny, battery-powered and rod-shaped bits of colored plastic, each approximately four centimeters in length. They were actually toys that look like beads with tiny legs on the bottom. Placed on a surface, they vibrate, which propels them forward at approximately 30 centimeters per second. Putting a bunch of them into a confined ring, the researchers found, resulted in what looked oddly similar to gas molecules in a confined space. The robots zig-zagged around the ring with random abandon. But when they added more of the robots to the ring, they found that the robots started to form two groups at the edges of the corral. They noted also that the membership of the groups constantly changed as the tiny robots careened about. The researchers next replaced the hard-walled ring with one that was flexible and found that doing so moved the whole ring (corral) around on a flat surface. 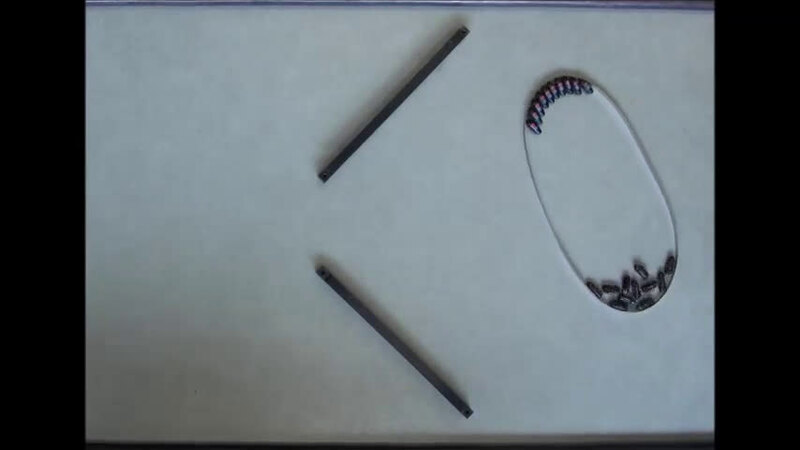 A collection of robots pressing against a single part of the ring moved it in that direction. Intrigued, they set up a course for the robot-propelled corral and found that the tiny robots could actually manipulate their way through. At one point, the team of robots squeezed their corral through a small aperture eerily resembling a bacterium invading a cell. The researchers even found that the robots could also maneuver their corral around round objects. Such studies, the team notes, help to explain how insects or microbes carry out complex maneuvering. 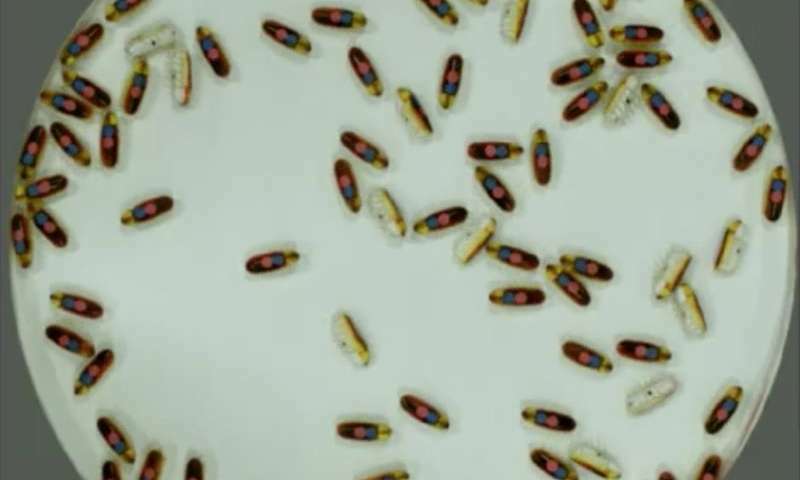 They might also lead to the design of micro-robots that are able to move around in biological systems. Simple ingredients, such as well-defined interactions and couplings for the velocity and orientation of self-propelled objects, are sufficient to produce complex collective behavior in assemblies of such entities. Here, we use assemblies of rodlike robots made motile through self-vibration. When confined in circular arenas, dilute assemblies of these rods act as a gas. Increasing the surface fraction leads to a collective behavior near the boundaries: polar clusters emerge while, in the bulk, gaslike behavior is retained. The coexistence between a gas and surface clusters is a direct consequence of inertial effects as shown by our simulations. A theoretical model, based on surface mediated transport accounts for this coexistence and illustrates the exact role of the boundaries. 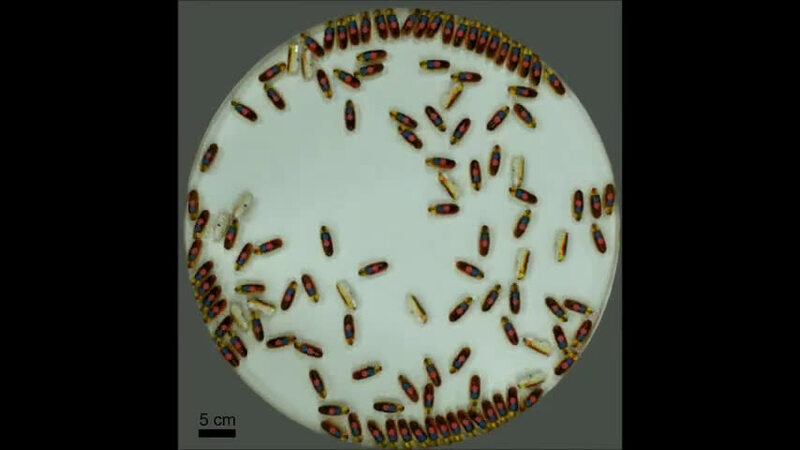 Our study paves the way towards the control of collective behavior: By using deformable but free to move arenas, we demonstrate that the surface induced clusters can lead to directed motion, while the topology of the surface states can be controlled by biasing the motility of the particles.